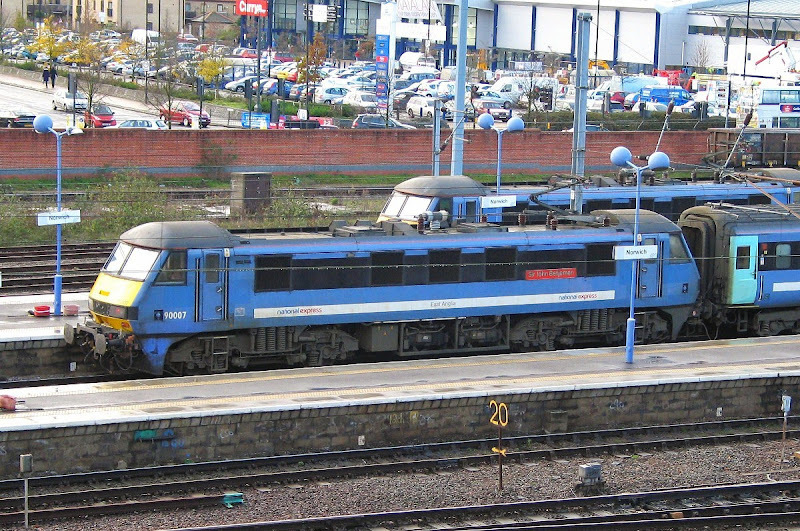 90007 Sir John Betjeman arrives at Norwich, 22nd November, 90004 is behind. 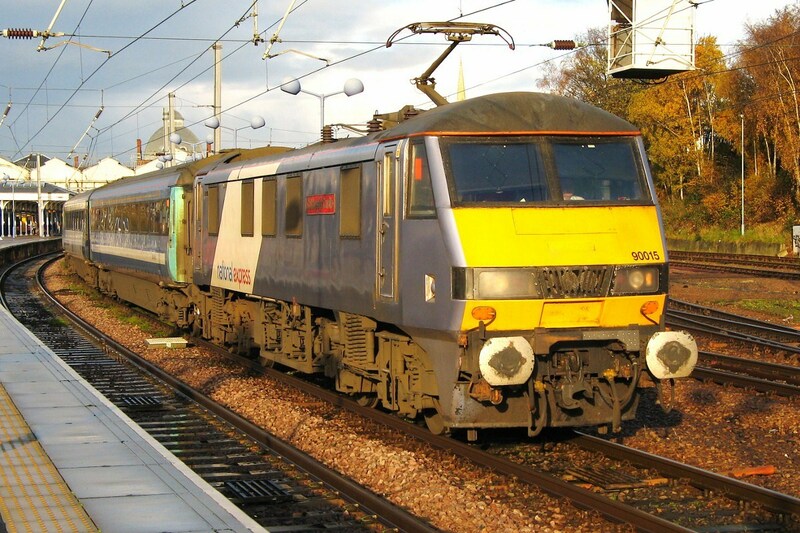 90015 Colchester Castle making its 09:30 departure, 23rd November. 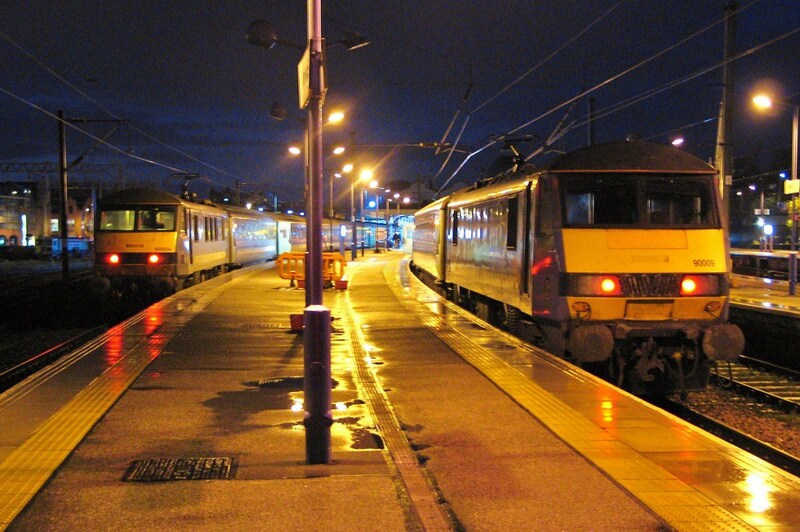 90004 and 90009 in the early evening, 23rd November.